« Apple Bonjour: Secret Weapon? Google Book Search initiative has met some resistance with publishers. Nevertheless, Google has been steadily scanning a significant portion of the world’s books and putting portions of them online to browse and purchase. The significance of this is astonishing. 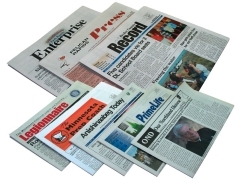 While, the Internet has grown at a rapid pace, much of the world’s collective knowledge lies in print. Anything we accomplish now is by “standing on the shoulders of giants.” And much of what the “giants” have cataloged exist in books and periodicals. By nature, a published piece of work has a high-level of professionalism. It must be proof-read, reviewed, then make it through the publisher before it is deemed worthy for publication. 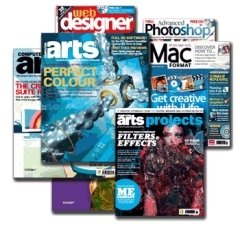 This means that much of the printed material is of high-quality. The Web, on the other hand, has an amazing amount of information; however, it is relegated to websites, blogs (such as this one), and such, where proof-reading and high-level of review is not often enforced. Anyone can be an author, writer, or blogger. Also, since information on the Web is published almost immediately when news breaks out, speed is often more important than completeness. According to a 2003 study at the University Berkeley, “How Much Information? 2003,” approximately 1.6 Petabytes of unique data was put in print in 2002. This included: books, newspapers, office documents, mass-market periodicals, journals, and newsletters. Meanwhile, approximately 532 Petabytes of data was produced on the Internet in 2002. Based on the assumptions above, the 1.6 Petabytes of produced print are equally valuable with the 532 Petabytes on the Internet, even though the storage requirements are in such enormous contrast. Thus, Google Book Search is a huge play. Books [and periodicals] combined with the Web help to complete the archival of written, human knowledge. While this is beneficial for search, and possibly saving trips to the library, what does this do for Google? Selling books is not, necessarily, a big money-maker for them. My theory is that by providing completeness and complementing the Web, Google Book Search is another way to add to their universal social graph — in addition to their extensive storage of e-mail, maps, products, video, etc.. By gathering statistics on books and periodicals, Google can determine what are hot areas and industries to focus on. Google also uses their scanned books to train their Google Translate services to translate literature from one language to another. This seems to make a lot of sense; if Google Translate can translate Shakespeare’s poetry and literary works into other languages, it can probably do a decent job translating a newspaper or magazine article. By tying scanning of books with translation, Google can apply these joint technologies to make websites and books more accessible to readers. Thus, Google makes more advertising money because there are pageviews that would otherwise be unaccessible in different languages. Google’s technology benefits the consumer and Google. 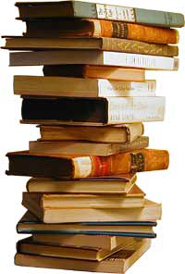 As to the publishers, Google does not show entire copyrighted books; just portions of a book can be previewed online. (That is, unless the book is the public domain, then Google can show the entire book online). If a consumer likes what they have browsed, they can choose to buy the book. I don’t see it doing much harm for the publisher. In fact, I see it making books easier to find, by keyword searches; so it might actually sell more books because readers are able to search for and access the material more efficiently. This is similar to Apple iTunes Store; you can listen to a clip of a song or preview a movie, but to hear or see the whole thing, you must buy and download it. To me, it seems to be a fair business model. What about libraries? I think there is little fear of extinction, they will remain. In fact, people go to libraries to surf the Web now! You still have the ability to checkout books, periodicals, music, movies, and so forth. So, the library-concept will be around; you don’t have to pay to borrow items. However, as more media moves online, consumers will be forced to weigh the cost-benefit ratio of borrowing for free from a public library — which requires physically picking up and and returning the item– or purchasing through a download at their convenience. “Google’s mission is to organize the world’s information and make it universally accessible and useful.” So far, they have lived up to their mission. This entry was posted on November 30, 2007, 2:20 am and is filed under Article. You can follow any responses to this entry through RSS 2.0. Both comments and pings are currently closed.